Hellooooo. 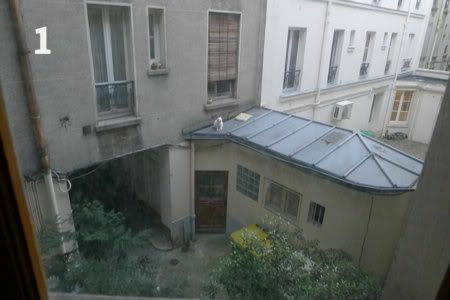 I've been remiss in not filling you in on my Paris trip. It's been overwhelming. Where to begin? Keep in mind I took 700 pictures. "How did you take 700 pictures?" Joe said. 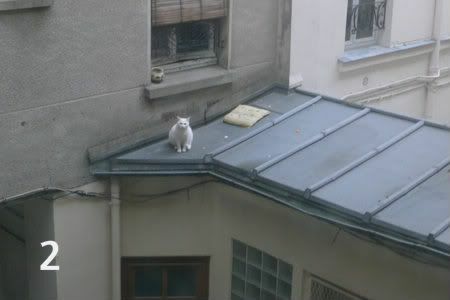 "Well, remember the cat we saw on the roof in our apartment courtyard," I said. 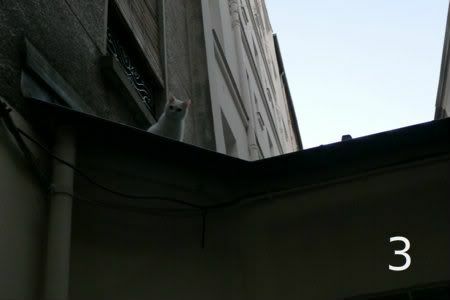 "I took three pictures of that cat." That's how you end up with 700 vacation photos. 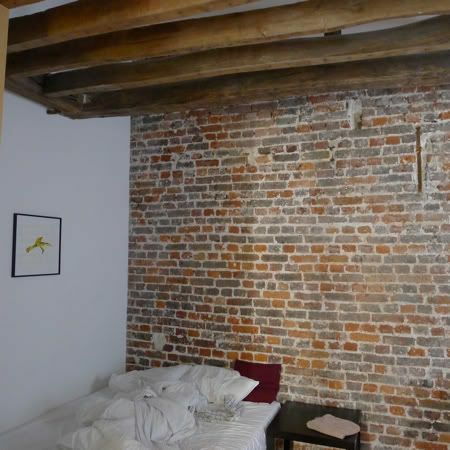 Lucky me, I was able to rent a charming Airbnb apartment, with exposed brick, rafters and giant windows overlooking a courtyard. So adorable. 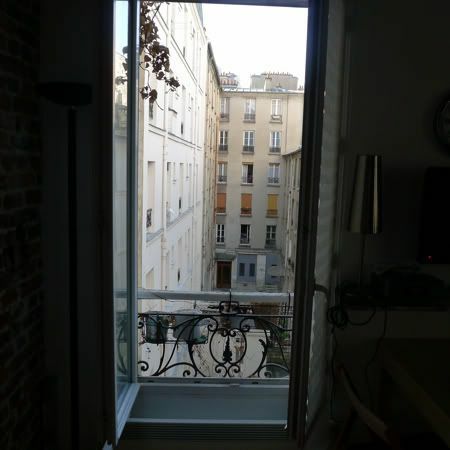 Airbnb is fun because you can pretend you are a local. The only problem with Airbnb is that there is no front desk, so you have to arrange the key pickup. My host said I could ask the shopkeeper at the cafe next door for the apartment. I practiced on the plane ride with a French dictionary (thanks, Alix, for letting me borrow yours! ), painstakingly looking up the words and trying to memorize one phrase: "Where is the key?" So after toting our suitcases on the metro and around town, we arrived at the shop and I marched up to the shopkeeper and blurted out my phrase. She looked at me like I had three heads. That's it, I'm out! I got nothing after that. She claimed to not have the key, then I thought we were getting closer when another lady at the cafe gave us the code to open the courtyard door, but still no apartment key. We're talking back and forth in English, I'm writing down the host's phone number for her to call on her cell phone, she's telling me she loves America and is going to Palm Springs. Meanwhile, Joe is standing on the street with our suitcases, and then a guy rides by on a bike, looks at Joe and says, "Adele?" Close enough. Turns out that guy worked with the Airbnb host and he asked if we were doing alright. "The shopkeeper doesn't have the key," Joe said. "Oh yes, she does," the guy said. He went in and talked to her in French and voila, she pulled the key out of a drawer, with a shrug of her shoulders and a roll of her eyes. Miscommunication? Or was she messing with me? Or both?